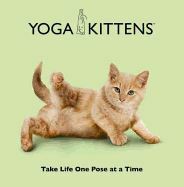 The essential book for cute kittens in yoga poses. Stretching into impossible poses, these photogenic kittens could be the most relaxed cats of all time! This hilarious collection of photographs captures a broad cross-section of lovable felines practicing yoga.